Dr. Pam Moran is recognized nationally as a leading advocate for contemporary progressive education. In an educational career spanning four decades, she has promoted shifting learning power from teachers to young people, amplifying student voice, agency, and influence. Pam spent her childhood wandering fields and swamps on her family farm and merged college ecological studies and a love of the natural world with a lifelong passion for and career in education. 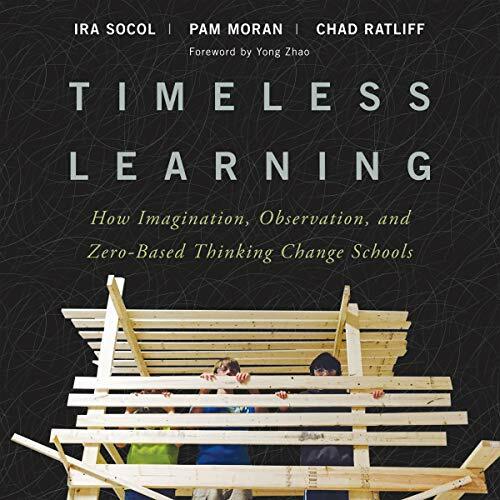 She is a former teacher, principal, and superintendent of schools who is recognized as a leader in the national maker education movement, as an advocate for SEL, arts and libraries, and for her belief that constructivism makes learning real for children. She was selected by her peers across the Commonwealth as Virginia's 2016 Superintendent of the Year and subsequently was one of four statewide superintendents of the year to be selected as a finalist for the National Superintendent of the Year. Today she serves on the Aspen Institute's National Commission on Social, Emotional and Academic Development. She writes for numerous educational publications, blogs regularly, hangs out with amazing educators on twitter, posts mostly nature pics to Instagram, keynotes conferences, and has been featured in Tedx Talks across the country.